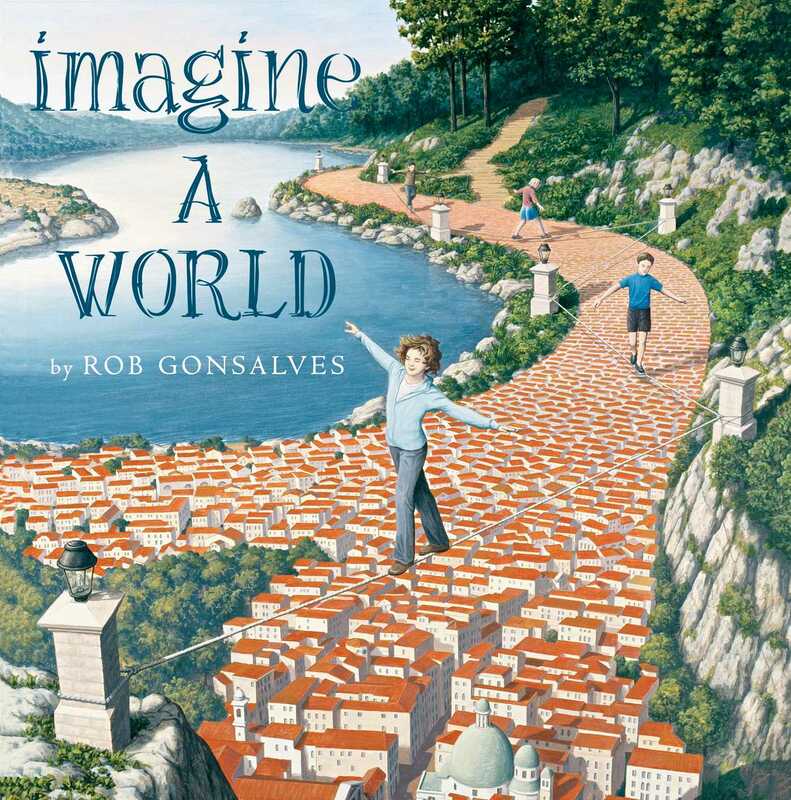 Rob Gonsalves—master of magical realism—presents another mesmerizing picture book in his Imagine a… series, that will “stimulate wonder and imagination” (Booklist, starred review). Imagine a world where the sky becomes the Earth; where a waterfall freefalls to become dancing women; where you can cut mountains out of curtains, and ships sail into the sky. This amazing world is what Rob Gonsalves has created. His vision inspires and astounds—and he wants to share that vision with you. With stunning illustrations that stretch the limits of the imagination, this fourth installment in the Imagine a… series explores a world that is boundless and beautiful, inviting you to imagine a world of possibilities—to imagine this world. Rob Gonsalves grew up drawing images from his imagination. Before becoming a full-time artist, Mr. Gonsalves worked as an architect. He began exhibiting paintings in Toronto in 1990, and his work is now shown throughout North America and beyond. His picture books are Imagine a Place, Imagine a Night, and Imagine a Day, which was the recipient of the Governor General’s Literary award. He currently lives in Ontario, Canada.